In 2016 a referendum was passed for Hamilton Southeastern Schools, so it was not surprise to see an increase in property taxes for 2017. In fact, taxes increased by 11.23% from 2016 to 2017 as a result of the referendum. What might surprise you is that tax increases didn’t stop in 2017 with the big referendum. In 2018, the tax rate has increased again by almost another percentage point to a total rate of 1.274. 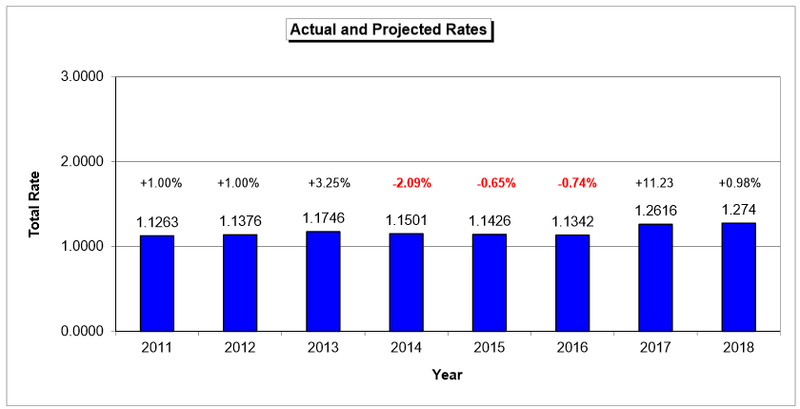 What should raise a few eyebrows on this continued upward trend for taxes is the fact that the Indiana state government also made changes to school fund allocations recently. The state changes adjusted school allocations so that they would be more balanced. In the case of HSE Schools, this meant that the per student funding increased. The result was more state dollars were coming to our schools. The net is that the HSE School coffers in 2017 benefited by more tax dollars at both the state and local levels. As the school board continues to increase taxes through referendums, you should be watching and asking why that is needed as well as watching how the millions of additional dollars are being spent. After all, in 2016 the HSE community was told that 100s of staff members could be laid off if a referendum wasn’t passed. In 2017, after passing the referendum, an unplanned multi-million dollar renovation to the administration building was approved and moved to the front of the capital improvements list. That’s a big change in a very short time.